Spy’s Honor is out today! Spy’s Honor is out today! I’m so excited about this book. Spy’s Honor is actually a prequel to Assassin’s Gambit. One thing I love about writing an epic fantasy romance series is that I get to tell two types of stories at once. The first is the intimate, emotional story of the romance in each novel, with each book featuring a different couple. The second story is the overarching storyline of Lucien and Vitala’s reign over the Empire of Kjall. I have a long storyline mapped out. 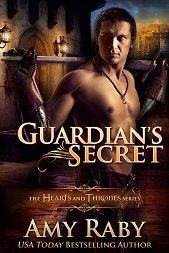 Assassin’s Gambit is Lucien’s romance with Vitala, the woman who becomes his empress. It also includes some formative events in Lucien’s life as emperor — namely, he is deposed by a rival and has to fight to win back his throne. But Spy’s Honor, we go back and see the events that led to Lucien’s rise to power in the first place. In particular, we see the complex relationship between Lucien, his beloved cousin Rhianne, and his rather frightening father, Emperor Florian. Lucien and Rhianne have banded together to quietly oppose and undermine their father, but Lucien knows a direct confrontation with the emperor could lead only to disaster. But when Rhianne falls in love with an enemy spy — and does not want to marry the man her uncle has chosen for her — confrontation becomes inevitable, and disaster follows. One of the particular joys of writing this novel was that the villain, Florian, is very present on the page. Sometimes, depending on the circumstances of a book, I cannot put the villain on the page as much as I would like to, because the hero and heroine are physically separated from him. But Florian is ever-present in Spy’s Honor, and that gives me the opportunity to explore him as a complex character with layered motivations. Florian does not see himself as a villain; he believes himself to be a great man. But Rhianne and Lucien have their own opinions on the subject, and I’m sure the reader will too. Spy’s Honor is available at a variety of retailers — see below. This entry was posted in Books, Fantasy and tagged lucien, release date, rhianne, spy's honor. Bookmark the permalink. 9 Responses to Spy’s Honor is out today! So excited, Amy! It’ll be such a joy to read this one through in its finished form! Congratulations! Thank you! And thanks for your and Julie’s invaluable help with the manuscript. Hi, Amy – I’m almost done with Assassin’s Gambit (love it! 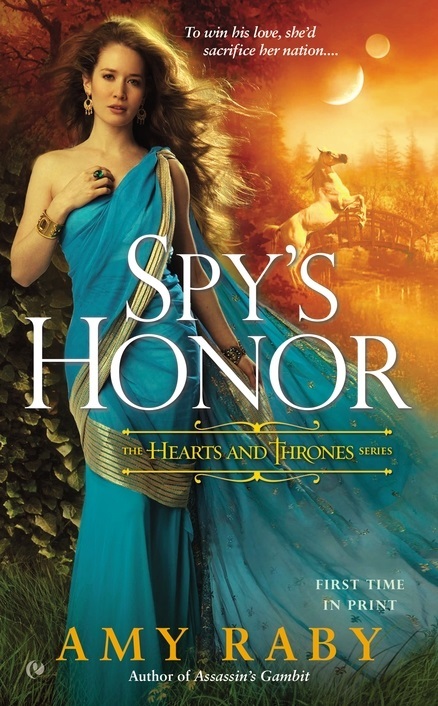 ), and I’m psyched to hear Spy’s Honor is Rhianne’s love story. Can’t wait to read it! Yeah, I’m thrilled with the covers. Sounds great! Love the covers. Thanks! I am really happy with the covers too. The publisher did a great job on them.